Maybelline has launched new face products left, right and center lately. With my weakness for foundations I knew I had to try the new Dream Velvet Foundation and then when they launch products together, you just have to get all of them together. Or you know just get excuses to buy more makeup XD So I purchased then Master Conceal, Dream Velvet Foundation and Master Fix Setting Spray. The last few weeks have been quite tough, I have been stuck at home watching bad romance movies and playing too much World of Warcraft. Yesterday I gave my hair a bit of a trim and treated my skin to a face mask or two and slapped on some makeup. I wanted to share with you my Makeup of the Day as I was quite pleased with how it turned out. Not the most glamorous of faces, but not bad for my first face full in two weeks. I am really pleased with how well the my eye makeup turned out, the eye shadows really made my green eyes pop and Miss Manga Mascara is really growing on me, look at the my eyelashes. How has your last few weeks been? What have you been wearing on your face? Hows it going? Its getting kinda chilly here in Auckland, but its a good excuse to stay inside and watch too much tv. I have just started watching the Flash, anyone else watching it? ANYWAY! Today’s post is all about L’Oreal’s latest Infallible Foundation and primer; 24hour matte foundatio and the matte priming base. I have an awesome BB cream come foundation to share with you today. For the last few months I have been trialing Oasis Beauty’s BB cream in Monroe and I am so glad I finally can share my review with you. I have had some great success with Oasis Beauty Products so when their BB cream turned up I was so excited. Oasis describe it as “Oasis BB Cream instantly covers imperfections for a flawless complexion. The natural actives and vitamins work over time to visibly improve the look and feel of your skin. Because it’s natural, you can wear it all day without it blocking pores or being detrimental to your skin health. BB Cream Monroe is best suited to light/medium skin tones and offers full coverage with a matte finish” – BB Cream Monroe About Page. There is quite a lot of product in the bottle. I have been using it for three almost four months and there is still almost half a bottle left ^_^ As you use the product the base rises up so you can get as much product as possible out of the bottle! Right: Full face of makeup which includes, concealer, blush, highlighter, bronzer, lipstick, eyebrows, eyeliner and mascara. It is a medium to full coverage foundation and settles on the skin for a very natural finish. I really liked how it did not cover everything on my face, just helped to even out my skin tone and hide some redness and not so well rested sleeps. Blemishes were dulled, not completely covered, but avoided that horrible “IVE PLASTERED FOUNDATION TO HIDE THIS” look, so you could just ignore them. If I wasn’t careful I could rub a little off on my fingers, but not too much and at the end of the day there was pretty much all of it still on my face and I had to use a wipe or two to get all my makeup off. I really love being able to throw my foundation on and not having to worry about it again. Oasis promises to help look after your skin with this foundation/BB cream by protecting it from the sun, not clogging pores and actually improving the overall quality of your skin, as well as being great for sensitive skin. How did I find it? Well with my sensitive skin it did not upset anything, my skin felt as though it could breathe while also looking amazing and with the amount of time spent in the sun the last couple of months my face never got sun burnt while I was wearing this. The overall appearance and feel of my skin? I couldn’t say to be honest, as I feel like my skin plays up more based on what I eat not what I put on it. I will keep a closer eye and try and report back later on this. So would I buy this again? Yes! I love it! Have you got a foundation you just love? It is a great foundation, especially in the warmer months when you do not want your foundation caked on or to run off. It looks great with low key makeup looks and with super glam looks too. Just all round good. – Full list of retailers available here and International Shipping available through website. Back at work already! The weekend always flies by! 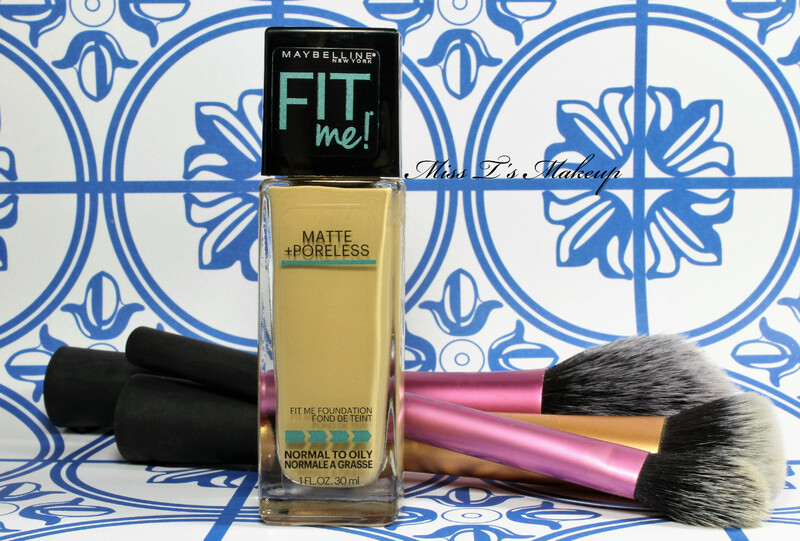 I thought I would share with a new foundation that I have been trialing; Maybelline’s Fit Me Foundation the Matte and Poreless edition. I purchased this in 220 Natural Beige and I wear MAC in NC20. I found the colour selection a little lacking, but supposedly the foundation is meant to change to suit your skin colour. Hopefully, this means no body misses out. I found that at first it was tad too dark, but once blended in with a foundation brush or sponge it looked fine and then as it settled it matched very well. It has a really natural look and finish. I have been training myself not to touch my face through out the day, which is going well, but even when I did touch my face I found my finger tips came away with some foundation on them, but only if I rubbed. At the end of the day my foundation still looked good, it seemed to stop the end of day tired creeping through and when I took it off there was still quite a bit on my face. I also liked how it was matte, but did not sink into any of my fine lines or cling to dry skin. Application was not a bother, you just have to make sure it is really blended in to make sure you get the best colour for your skin. It blended very easily and did not take too much work or time. I don’t know how I feel about the bottle itself. There is a lot of product which is awesome, but the bottle does not have a pump or nozzle, it is just a standard opening. I find I tend to pour too much product out, but the plus side it is easy to get back in the bottle. It does make me worry about inadvertently applying too much or wasting product though. I will have to contemplate it further. Would I purchase this again? Yes, I really like this foundation. It lasted really well all day long, looked good and applied beautifully. Any of my concerns are teeny tiny to how well it performed. Have you tried any of the new Maybelline Fit Me Foundations? How is it going? I have had a busy week with work projects and study research proposals being handed in, but I feel like I am up to date finally! Now I have the weekend to take photos and prepare more blog posts! Yay! Today I went out for brunch and shopping with my BFF, which resulted in me coming home with a wishlist a mile long. I was strong and purchased nothing but food and coffee. So I thought I would share with you my current wishlist. Some of the things on it are new and some of them have been on it a while. So take a look! I am all about the brows and making sure they look perfect, this looks as though it promises to make life easy. I also love being able to give it a go and it not cost me and arm and a leg. Nuuuuude lipstick! :3 Also the tubes look very cute! 42 and 48 look right up my alley. I have seen this foundation every where and I just want to give it a go, but the colour I want is always out of stock. T_T please give a chance NZ girls. I am just so curious to see if this works. I have some great colours that I would love to see if I could rock them matte as well. It would mean I could wear all those lipsticks in so many more ways. I love highlighters and these look so pretty! It has been forever since I purchased Sleek products, but I have always had such good luck with them. This whole entire collection, I just need it all! 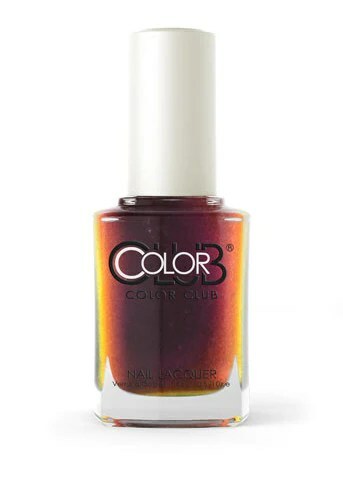 Who does not love a good multichrome?? I have had my eye on this for such a long time, I just love all of those colours. I feel like I need to coax some of my friends into a group buy to get this in my life soon. Its back to work for me this week. So I thought I would do something a little different for today’s post. This post is all about my favourite cosmetics from 2014. The products aren’t necessaryily new in 2014, but products I used and enjoyed the most last year. So lets see what made my favourites.